This one seems ripe for a caption contest. If you come up with any good ones, leave 'em in the comments. 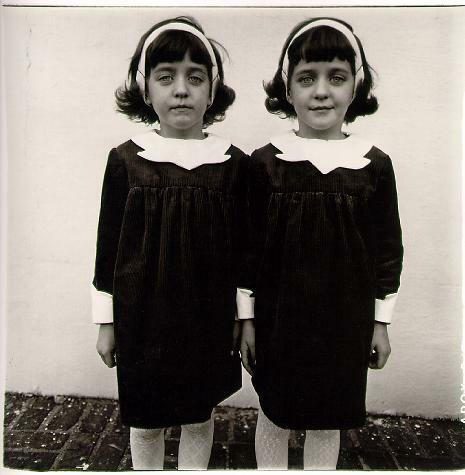 There's something Diane Arbus-y about these girls. Identical twins; identical weird haircuts. The dolls control their minds. These girls aren't twins, but they might well be sisters. Note the hyper-creepy, pinheaded Victorian doll in a stroller and completely unnecessary, Edward Gorey-esque umbrella.